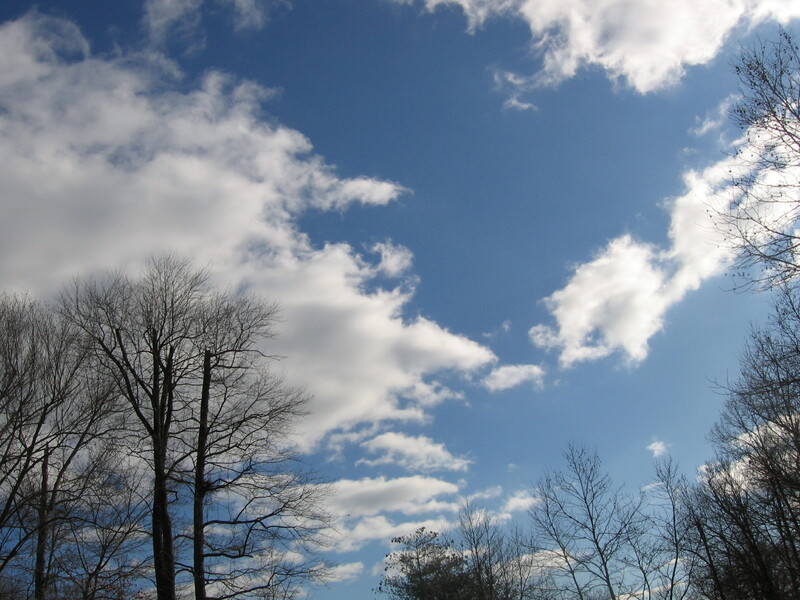 Skywatch Friday, Episode 5 Week 11 and Why is the sky blue? Sunlight interacting with the Earth’s atmosphere makes the sky blue. In outer space the astronauts see blackness because outer space has no atmosphere. Sunlight consists of light waves of varying wavelengths, each of which is seen as a different color. The minute particles of matter and molecules of air in the atmosphere intercept and scatter the white light of the sun. A larger portion of the blue color in white light is scattered, more so than any other color because the blue wavelengths are the shortest. When the size of atmospheric particles are smaller than the wavelengths of the colors, selective scattering occurs-the particles only scatter one color and the atmosphere will appear to be that color. Blue wavelengths especially are affected, bouncing off the air particles to become visible. I am participating in the photo meme called Skywatch Friday. 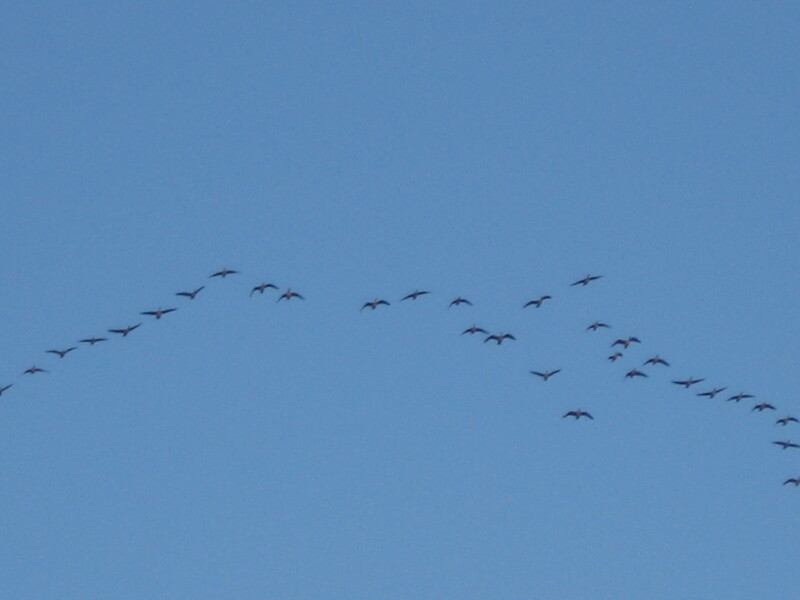 The geese here are starting to spend more time flying. Looks like yours are getting ready to migrate, soon! Interesting post and nice photos.